The garden dates to 1779 when the University created a chair of “botany and medicinal properties” and dedicated a plot of land for a botanical garden. The goal was to grow and study plants that useful had medicinal properties. The garden was moved to the present site in 1786 when the first plot of land turned out to be too small. In 1789 construction of three administrative buildings began. Built in a neoclassical style, the larger central building (called the Gymnasium) is associated with two symmetrical side buildings. You enter the garden through these buildings. The new garden was opened in 1795; in the ensuing years it was improved, with the addition of several aquatic gardens. A number of greenhouses were also added, the oldest of which dates to the 19th century. 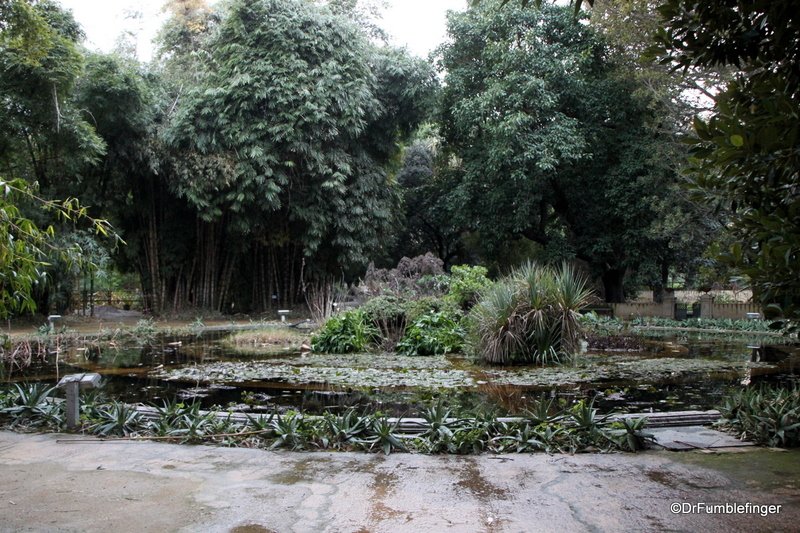 The garden has several distinct regions which contain plants from different parts of the world. As you would expect, Palermo’s pleasant and mild climate allows for a large diversity of plant growth, including cacti and succulents and plants from Africa. The garden is home to at least 12,000 different species. For the past few years the garden has been home to a colony of parrots which escaped from nearby avaries. 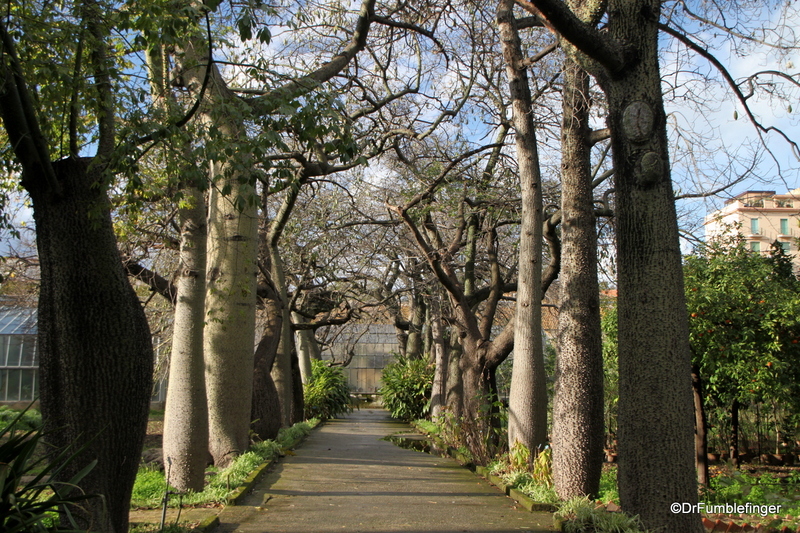 You’re very likely to see and hear them as you stroll the walkways of Orto Botanica. I am 50% Sicilian and I have always wanted to visit! This is definitely added to my bucket list now! It’s a great compliment to be able to add something to someone’s bucket list. We loved our 2 weeks in Sicily. Totally different from most of the rest of Italy.